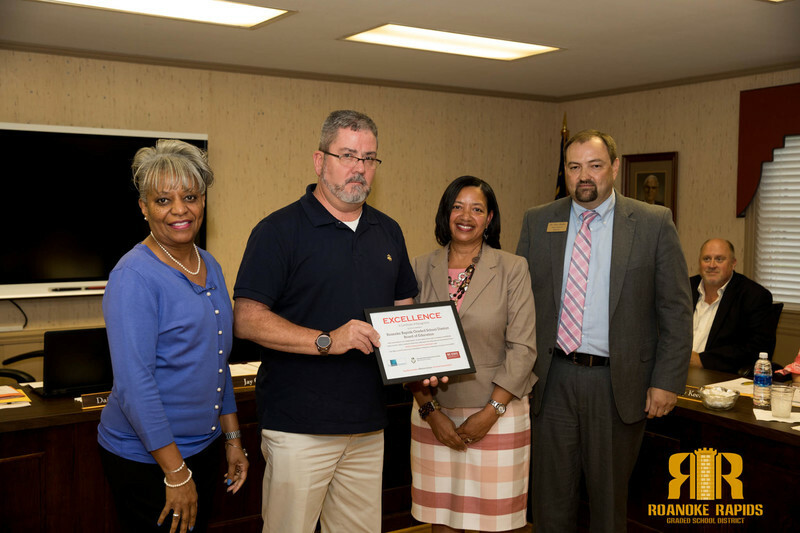 The Roanoke Rapids Graded School District Finance Department was recognized by the State Board of Education for its fiscal responsibility. The department received an award for excellence in financial management. “I’m really proud of the team we have working here in Central Services. We’ve consistently had clean audits and continue to use our resources to best serve our students,” said Andrea Midgette, Chief Financial Officer. 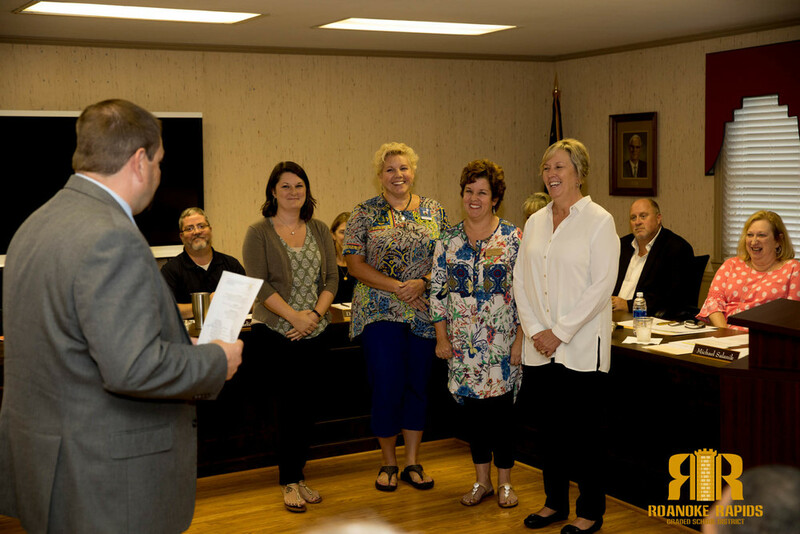 Sylvia Anthony-McGeachy with the Northeast Leadership Academy (NELA) Consortium and Wallace Grant also attended Tuesday night’s meeting to recognize the district for its commitment to ensuring every school has an outstanding principal. For nearly 10 years, RRGSD has partnered with NELA to help groom educators to become school principals and leaders. Trustees also adopted a tentative plan to make up the two days missed last week due to Hurricane Florence. Board members agreed to forgive one day and make up the other day on Oct 12th for Roanoke Rapids Early College High School and Oct 22nd for all other students. “The Governor may allow us to forgive these days. If not, we wanted our parents and students to have a plan in place,” said Superintendent Dain Butler.